Pizza is one of the most beloved foods in the world. Whether it's gobbled up as a quick family dinner or passed around a party as a greasy comfort food, there's no denying that pizza has become a food staple in modern culture. While it's not the healthiest choice out there, most people have no problem scarfing it down whenever it's presented to them. Dogs are no different. Pizza is filled with delectable ingredients and has an aroma that will send any pooch into a frenzy. While you may be tempted to give in to your canine companion's puppy dog eyes and let them enjoy a slice, it's important that you don't. Pizza should never be given to a dog. It doesn't have much in terms of nutritional value and can do way more harm than good. What Exactly is so Bad About Pizza? Simply put, pizza is not made to accommodate the dietary needs of a canine. They don't provide your dog with the fuel they need to stay healthy. In fact, too much of it can lead to a variety of health concerns. 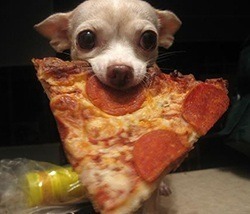 Essentially, pizza is nothing more to dogs than empty calories. They can gain weight and experience gastrointestinal upsets. It's best to avoid all of these problems by just keeping it away from your pooch no matter how much they beg. As a good rule of thumb, you should never give your dog any food that's made to be consumed by humans. Beyond the lack of nutritional content, there are a few other things to be wary of when it comes to pizza. Pizzas contain a bevy of ingredients and toppings that can wreak havoc on your dog's body. Many of these ingredients will cause your dog's health to decline over time while some pose immediate dangers that need to be addressed as soon as possible. 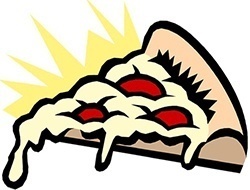 Because of the way pizzas are made, you may not even notice the potentially harmful components. Here's a list of some of the most common pizza ingredients that won't sit well with your dog. Garlic and onions are great for giving pizza an extra kick. However, both are known to be harmful to dogs. Garlic, in particular, is toxic to dogs and should be avoided at all costs. Both ingredients can be used as toppings or mixed in with the tomato sauce, making it tough to notice at first glance. 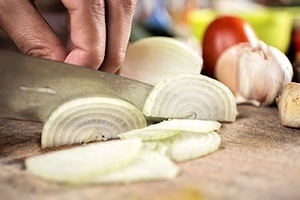 The two vegetable ingredients are part of the allium family of plants. Alliums contain thiosulfate, which affects the oxygen in the red blood cells. For dogs, consuming even a little bit of onion or garlic can do irreparable damage to their blood. Symptoms can vary dramatically based on your dog's current health and how much they ate. In the best-case scenario, your dog will experience some stomach pains. However, symptoms can go far beyond that. They can start to suffer from hemolytic anemia only a few days after consumption. This condition is life-threatening. It can lead to significant lethargy, difficulty breathing, dehydration, and much more. If left untreated, your dog can fall into a coma and die. Needless to say, that slice of pizza isn't worth the risk. Sodium can be found in a variety of toppings. Ingredients with particularly high sodium levels include pepperonis, and anchovies, pickled vegetables. One of the worst offenders is the tomato sauce. Tomato sauce has a lot of salt to help enhance the flavor of your pizza. While it's a flavor-booster for humans, too much sodium can be lethal for dogs. Large amounts of this ingredient can lead to gastrointestinal issues, high blood pressure, and heart disease. If they eat a lot of it in a short amount of time, your dog's body may go into shock. This can lead to life-long issues and even death. This may come as a surprise to many dog lovers, but cheese isn't the best thing to feed your pup. Most dogs suffer from lactose intolerance. While some types of cheese are all right, others can be dangerous. The problem with pizza is that they're almost always covered with ridiculous amounts of cheese. Not only that, but the cheeses used are often the worst kind for your dog. Pizza recipes typically call for cheese that's fatty and easy to melt. They have higher levels of lactose that will cause noticeable discomfort. When your dog consumes a significant amount of cheese, you can expect them to experience digestive issues. They may start to vomit or have diarrhea that requires frequent trips outside. 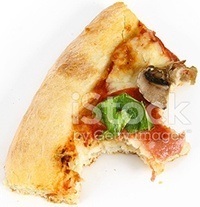 Most pizzas are covered in grease. Let's be honest, it's one of the reasons why people enjoy it so much. Even low-fat pizzas have some form of grease hiding in them. This extra grease translates to more fat and long-term effects on your dog. No matter their breed, dogs need to have controlled portions of fat. Usually, their diets should contain around 10% fat. Too much fat can lead to obesity. Dogs that gain weight typically have a hard time losing it, so it can be a problem that you'll have to deal with for the rest of their lives. Consuming high levels of fat can also result in pancreatitis. It's a painful health concern that can be fatal without proper treatment. So you've finished your pizza and are left with a pile of crusts, should you give them to your dog? While pizza crusts may not have all of the unhealthy ingredients like the rest of the pie, you should not let your dog chow down on these leftovers. Crusts are nothing more than simple carbohydrates and sodium. They're empty calories that don't contain anything beneficial. Sure, they'll make your dog feel full. However, they won't be getting any real fuel to function. Instead, they'll experience a spike in blood pressure and a sudden influx of extra calories that they need to burn off. Feeding your dog unwanted pizza crusts will just lead to weight gain and obesity. They may also have a difficult time processing the baked bread and suffer from noticeable drops in energy levels. My Dog Ate Some Pizza, What Do I Do Now? If your dog has sneakily eaten some pizza, you need to act quickly to ensure that you can get your dog the care they need. First, take a look at how much pizza they ate and what types of ingredients it contained. If your dog has only eaten a small slice, they'll likely only experience an upset stomach. This all depends on how their body reacts. It's important to keep an eye on them for the next few hours to ensure that serious problems don't arise. If they've eaten a large chunk of the pizza, you need to call your vet immediately. 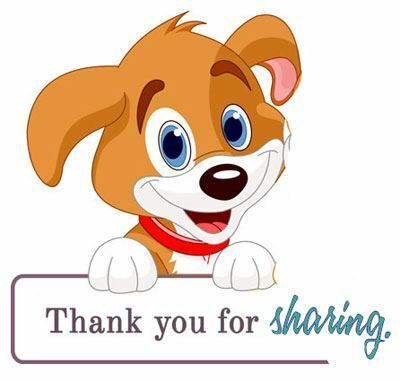 Gather as much information about the pizza and your dog so that your vet can come up with a solution. You may need to bring your dog in for an emergency visit to counteract any side effects they might experience. All in all, you should never give your dog pizza. While they may enjoy the taste, it's not worth the risk of complications. If you enjoy some pizza, keep it covered and off the ground to ensure that your pup can't sneak their way into the box when you're not looking. Also Read: What Happens if a Dog Eats Gum?